New in the Fire series of events, FCR are proud to host the Preesall Fire 10k. Organised in aid of the Firefighters Charity this event is set to be another cracker on the calendar. ONLINE ENTRY HAS NOW CLOSED. ENTRY ON THE DAY IS AVAILABLE. There may be entries available on the day (don't risk it though), and these will be charged £3.00 extra. Postal entries will not be accepted. Your running number needs to be collected from the Race Makers on the day from the race venue at Preesall Fire Station. Registration opens at 8.30am. Please bring your email confirmation or payment receipt with you when collecting your race pack (which includes pins to attach your running number to the front of your running top) to ensure a swift collection process. You should arrive in plenty of time to avoid queues. There is an enquiry desk if you have any problems or questions about the event. 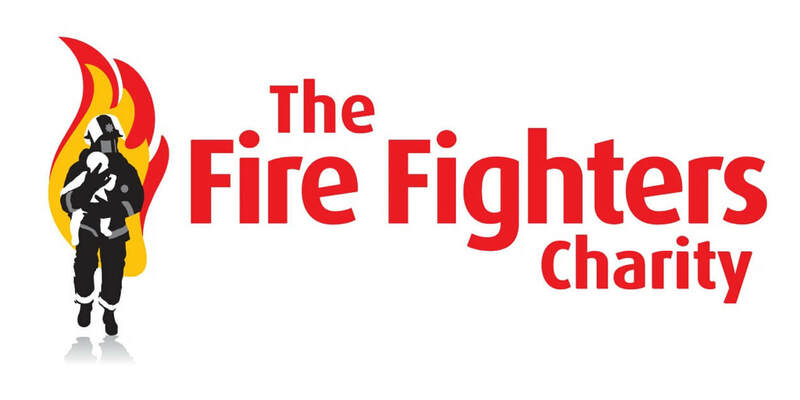 The race venue is the Preesall Fire Station, Sandy Lane, Preesall FY6 0EJ. The registration area is open from 8.30am. There are signed directions to the registration. There are also toilets here. Baggage storage is also located here and at the race start/finish area. Items are left entirely at owners risk and is not manned by race staff during the event. 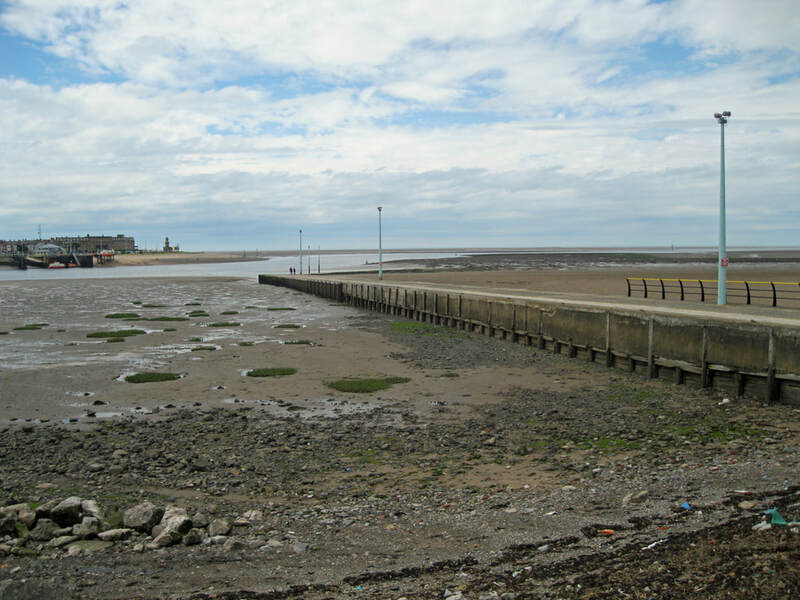 There is a car park located at Knott End Slipway. 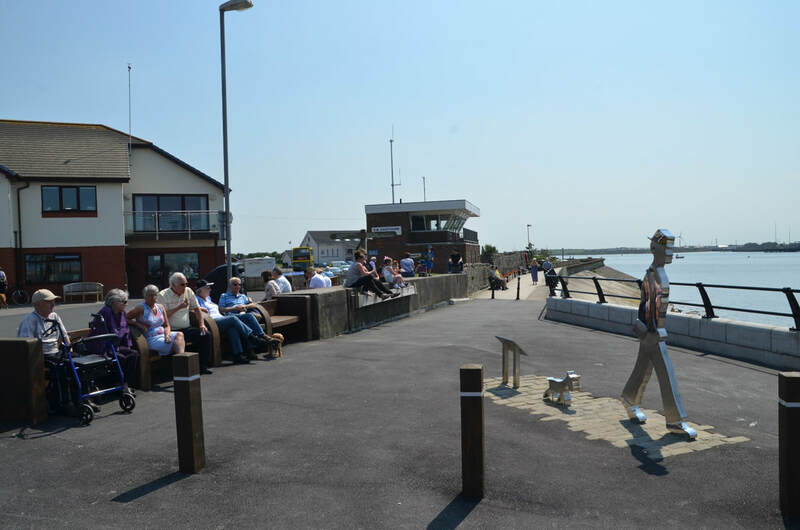 Once you have collected your race pack from the Fire Station, make your way to the start area at Knott End Slipway. Approximately 1 mile away. There is parking at the Slipway. A water station is located at the halfway point on the route. Bottled water is available to all runners. The bottle cap will be removed before being passed to you. The station will be clearly signed. Please try and drop your bottles as soon as possible so we don’t litter the course too much. It also helps the crew at the stations to pick the bottles up quicker. A water station is also located at the finish area. Medics are available throughout the course on bikes and at the finish. If you get into any difficulties on the course you should alert a steward or medic who will be able to help you. You must be fit and well to compete in the event. Severe exertion during or soon after any illness is extremely dangerous. Do not take any chances with your health. If you find yourself in this situation you must withdraw. But do not despair! Email us at least 7 days before the race and we can defer your entry to the following year for free so you do not lose your entry fee. I'm not on the results... Why? The chip timing system is great, however, as with anything computerised, on rare occasions things can go wrong. On these rare occasions, the antennas may not pick up a signal from the tags which are on your bib number. Our success rate for results is currently 99.89% read from the tags that are attached to your bib number. There are countless reasons why; You may have covered them whilst starting/stopping your watch; you may have put a jacket on over your bib number; the tags may have come off your bib number; they may simply be faulty; it may have been raining very heavily; mobile phones can also affect the signal... the list goes on... but do not despair! do not have a rant on social media like it is the end of the world as you know it... Just drop us an email and we can sort it. All the events are videoed, so we can manually extract your finishing time and slot you into the results. Depending on the size of the event, this can usually be achieved within 24-48 hours. What are the results all about? What is chip timing? All our events are electronically timed using RFID chip tags and an elaborate array of readers and antennas. Now this is the tricky bit; After the race you will receive two times. The first is your 'Gun' time; This is the official race time, from when the races starts to when you cross the finish line. The second is your 'Chip' time; This is the time from when you cross the start line to when you cross the finish line. I have not received an email confirming my entry? Entry confirmations are sent automatically as soon as payment has been received. This email can sometimes get caught up in your spam/junk mailbox, so be sure to check it. Please contact us by email if you do not receive one and we will send another. Will I receive a race bib number and pack through the post? The short answer is NO. Because of unreliable post and the sheer cost of sending large items, your race pack will be ready for collection on the morning of the race. See the event page for opening times etc. Where can I find more information about the race? Each event page details all the information you need to have an enjoyable, trouble free day. I have entered but cannot run. What can I do? It happens! For whatever reason, you cannot compete, email the Event Support Team and we can either defer your entry to the same race the following year or transfer your entry to another event on our calendar. We will need at least seven days notice before the original event though to make the changes for free, otherwise there is a £5 charge to cover the cost of your race pack & chip tags which are not used. I cannot run anymore, can I have a refund? I'm afraid not, refunds cannot be given for events. But don't despair! We can however either defer your entry as detailed above. What are the medical facilities at the race? All FCR events are covered by a private medical provider, which include the services of registered Paramedics, Emergency Medical Technicians, Nurses and First Aiders capable of administering advanced life support and defibrillation. You are in safe hands should the worst happen at one of our events. Am I insured when running in your event? Can I wear my iPod/mp3 player during the race? We see the attraction of pounding the streets to your favorite tracks. However, we do ask that you follow these few basic rules: When queuing at the start do not use your iPod/mp3 player so that you can hear the safety announcements by the team; During the race keep the volume as low as possible so you can hear marshals and steward instructions, or indeed other runners if they need help; At the finish switch off your iPod/mp3 player so you can be guided safely through the finishing area. Is there anywhere to leave my kitbag during the race? Each event has a baggage storage area so you can store basic items whilst you are running. These areas are not marshaled or supervised so do not leave any valuables. All bags and items are left entirely at the owners risk. I am traveling quite a distance and need a hotel room. Where should I look? Blackpool has a huge variety of hotels, guest houses and B&B's.Simply go to www.visitblackpool.com to see whats on offer. The event I want to run is saying full, but you are taking entries on the day. A certain amount of medals need to be ordered in advance of the event. Once we reach the limit, entries close. On the day it is inevitable people don't turn up for whatever reason, so we can take entries. However, depending on how many people enter on the day will dictate who gets a medal. People who pre-enter get one guaranteed no matter when they finish. Entrants on the day will need to wait to nearer the end of the race to see how many we have left, then they will be given out in the order of when you entered... Its the fairest way of doing it. How old do I have to be to enter a race? Each event has a different minimum age based on the UK Athletics rules. Basically a Marathon is 18, Half Marathon is 17, 10 Miler is 16, 10k is 15 and a 5k is 11 years of age on the day of the individual race.